Having self-esteem means accepting and appreciating yourself for who you are. People with high self-esteem feel good about themselves and appreciate their own worth. At the same time, they acknowledge their weaknesses but they don’t allow those weaknesses to play an irrationally large role in their lives. People with high self-esteem are happier than those with low self-worth. They’re also more likely to take on difficult tasks and persevere in the face of failure. Therefore, they’re more likely to succeed. 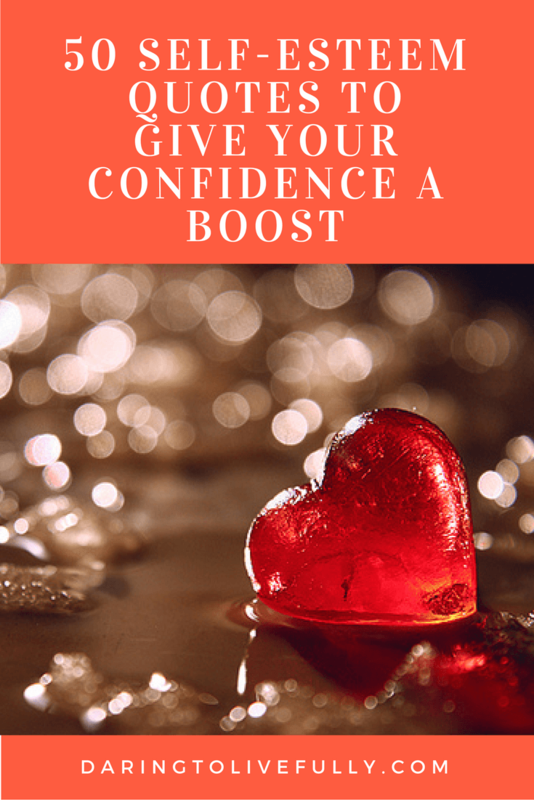 Below you’ll discover 50 self-esteem quotes to give your confidence a boost, so that you can be happier and experience more success in your life. 38. “Of all the judgments we pass in life, none is more important than the judgment we pass on ourselves”. ~ Nathaniel Branden. 39. “One of the most significant characteristics of healthy esteem is that it is the state of one who is not at war either with himself or with others”. ~ Nathaniel Branden. 40. “The most important key to the permanent enhancement of esteem is the practice of positive inner-talk”. ~ Dennis Waitley. 42. “Love is the great miracle cure. Loving ourselves works miracles in our lives.” ~ Louise L. Hay. Giving your self-esteem a boost is one of the most important steps you can take in order to live your best life. Begin applying the wisdom contained in the quotes above, today. me permites traducirlo y colocarlo en mi blog en español. Can i translate it and post it on by blog ?.